Last updtaed: June 2017. Did you know that muscle knots in back can cause pain in other parts of your body? Back muscle knots can cause pain in your buttocks, bladder and lower spine and are often confused with bulging discs, sciatica or herniated discs. 1 Why Do Back Muscle Knots Hurt? 2 What Does a Muscle Knot Feel Like to Touch? Why Do Back Muscle Knots Hurt? Back muscle knots (also known as trigger points/myofascial pain syndrome) are characterized by muscle fibers that contract, but don’t release, causing tiny cramps and “knots”. These trigger points may irritate the nerves around them and cause referred pain, especially in the pelvic area. But These Cramps don’t feel so “tiny” do they? Oh, the pain. It can really be unbearable. Modern medicine experts don’t really know the direct cause of muscle knots, but it’s assumed that they are caused by a muscle trauma, injury, or sudden over-use of the muscles. What Does a Muscle Knot Feel Like to Touch? Well, muscle knots can usually be felt under the skin. When you press them, the pain gets worse. Muscle knots are often swollen (at least a little) and feel hard when you touch them. Are There Alternatives for the Medications and Injections? As always, the answer is yes. Your doctor may have “forgotten” to mention this, but you don’t have to swallow yet another muscle-relaxant or endure a trigger point injection to release those awfully painful muscle knots in your back. What to do about big back muscle knots that won’t go away? These alternatives may require a bit more “work” than popping a pill or injecting questionable stuff into to your body. They are safe, free of side-effects, natural, and can be even more effective. Massage is definitely one of the best ways to relieve back muscle knots, as we all know. But, most of us can not afford paying a massage therapist every time our back hurts, right? This is what self massage tools were invented for. Both of them have about 10 knobs on them, which you use to apply pressure to your trigger points, relax the muscle knots and boost circulation to the area. Both of them are light weight and easy to use. How to Use Self Massage Tools? You simply hook the Body Back Buddy or the Theracane over your shoulder or around your side and hold it by the handles so that the knob touched your trigger point. Then you push away from your body with your lower or outside hand while guiding the knob with the upper or inside hand. Stick with a comfortable pressure for 10 to 30 seconds and return to the treated area 3 to 4 times each session. You may be shocked to see how you feel better instantly, and after a few sessions you can move better, use your muscles and even drive pain-free. Here’s the page for the Body Back Buddy on Amazon. if you find it for less than $32 – it’s a great price. The Theracane is also sometimes on sale on Amazon. In my opinion this is a low price to pay for such a great tool, available to you 24/7. Unlike a regular foam roller, trigger point foam rollers are compact, heavy-duty foam rollers with different patterns on the surface for a variety of manipulations and applications. They really put the regular foam rollers to shame. They won’t crumble apart after a few weeks of use and they can really be helpful for your sore muscles. Simply lie down on the roller and move around until you feel the pressure on your muscle knot. Roll over the painful area for about 30 seconds and repeat 3 times. The Grid Foam Roller (my personal favorite) comes with a great guide on how to use it on different parts of the body, which is very helpful. An infrared heating pad is probably the least known muscle knots reliever, yet the most effective one in my experience. First, it’s highly effective. For me it works every time, and you’ll have trouble finding even one person claiming that an infrared heat pad hasn’t helped relieve their pain – any kind of pain – without medication. Second, it requires for you to do…absolutely nothing. All you have to do is take a 30 minute nap while you’re on it. Or read a book. Or watch television. My Infrared heating pad (I also have a full body mat) has made my home much more popular in the last few years. It can be used to relieve any type of pain, anywhere in your body, safely and naturally. And, it has many other amazing uses (detox, weight loss, heart health, circulation problems, chronic illness and more) which I’ve written about many times. You can see the top 4 infrared heating pads in 2017 – compared and reviewed. How about you? what’s the most effective muscle knots reliever you ever tried? Thanks for sharing on Natural Living Monday! I love my foam roller ball. 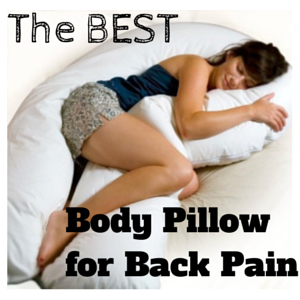 It has helped me so much at relieving back pain. Your post is one of our featured posts! Come back on Monday and check it out.